Sophistication for a High Tea with the Bride to be. Set at the Bellevue on the Lakes and catered by the team at Rudder & Fin in conjunction with Jemma Louise Cakes, set the perfect scene for selfies, sweet treats and some bubbly! One central table styled with oatmeal linen, champagne sequin runners, florals and white napkins with pink twine underneath a canopy of foliage garlands led your eye straight down to the focal point; Tarryn in her peacock chair adorned with blooms. Guests enjoyed Cupcakes, short bread, cake pops, and savoury canapés with champagne and tea for a ladies afternoon before Tarryn's big day in January. styled with vintage details made for a memorable experience on the day. 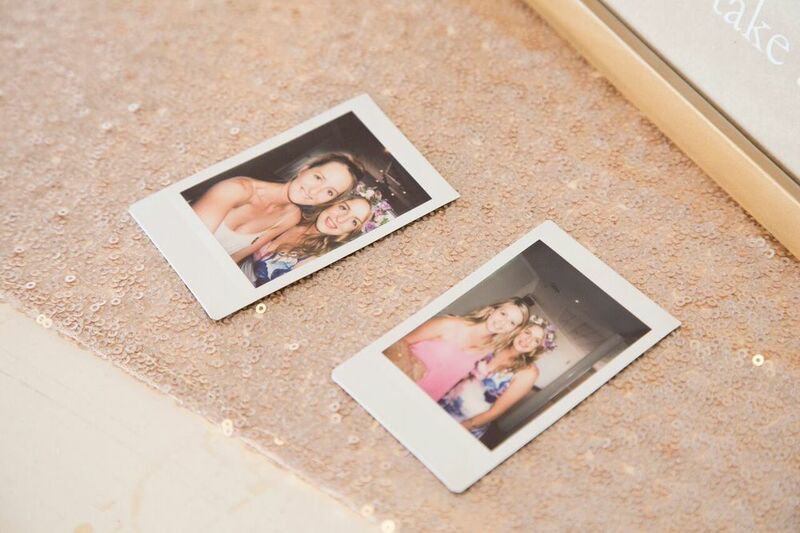 All captured by our Photographer, and the guests with the polaroid a well! Happy Bridal Shower Tarryn, we can't wait to style your big day in the new year. Here's to a fabulous day with fabulous friends!